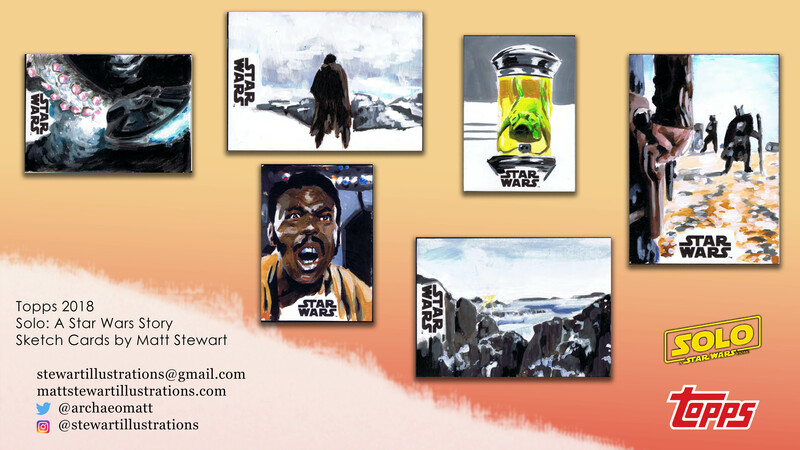 I’ve been creating sketch cards for licensed trading card companies for over four years now. 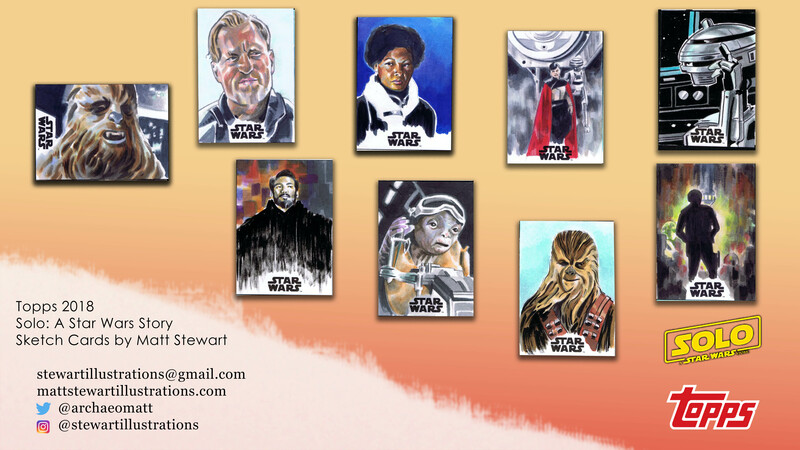 I’ve been creating sketch cards for fun and commissions for much longer than that. 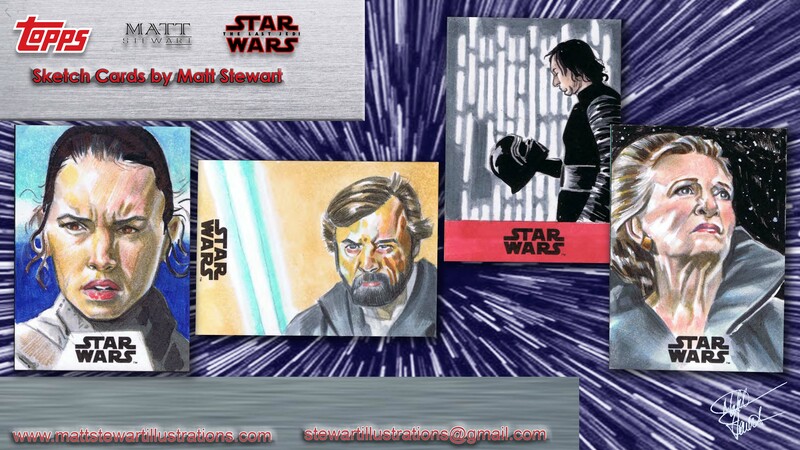 However, even though I’ve been drawing and collecting trading cards since I was a kid in the 80s, and despite sketch cards existing since sometime in the 90s and being picked up by trading card companies in the early 2000s, I only discovered them in the late 2000s. 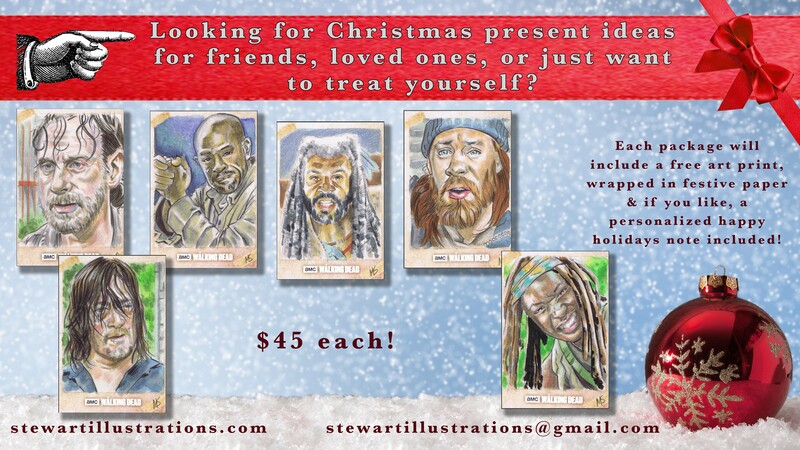 Many people that I’ve met online or at conventions do not know what sketch cards are. 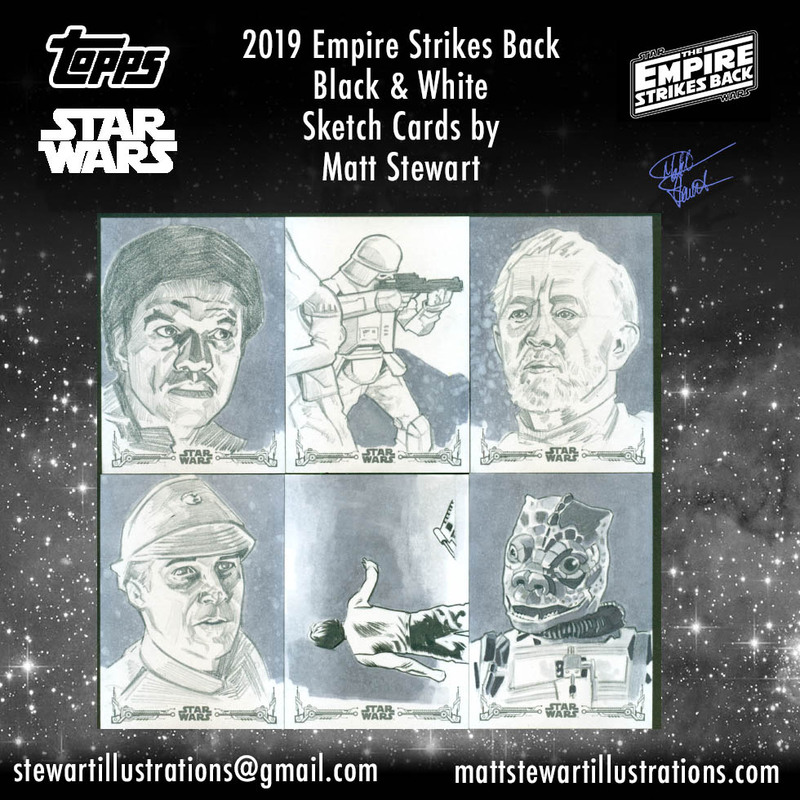 That group of people, who are the collectors of art, comic, and everything else geeky, often really like sketch cards once they find out about them. I think the appeal is found in the wide range of subject matter, the oftentimes affordability, and that their unusually small size allows people to easily build a collection of them without sacrificing a room in your house to store them in. 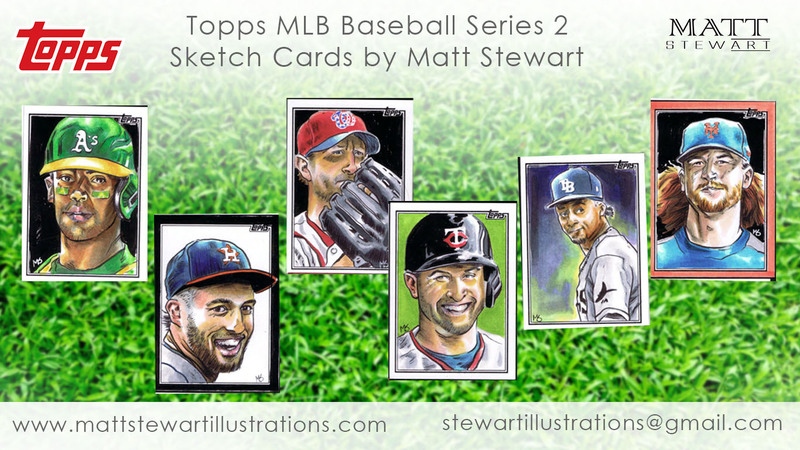 A sketch card is a surface that measures 2.5″x3.5”* and is used to create an original, one-of-a-kind piece of art upon. 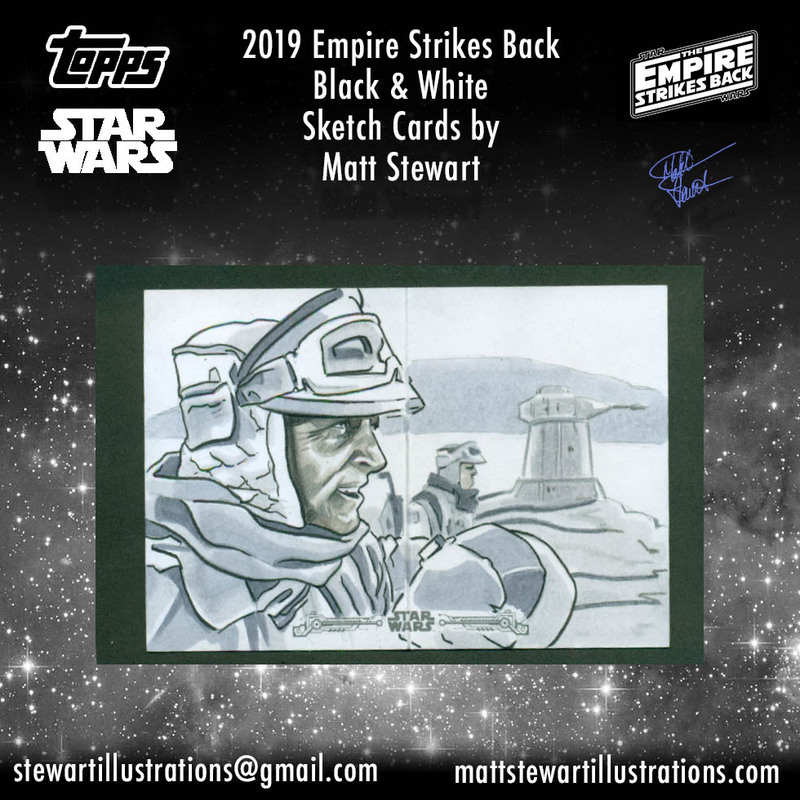 I purposefully tried to make that definition as broad as possible as really the defining features of a sketch card is its size and its originality; however, size receives an Asterix as explained later. Some artists and collectors may disagree with me, but to me these are the defining characteristic and then you can have a multitude of sub categories after that. 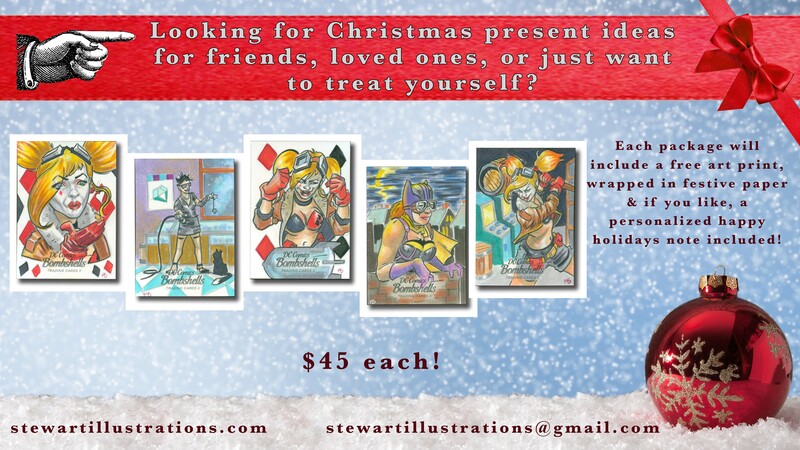 For instance, painted or penciled or licensed or personal sketch cards. 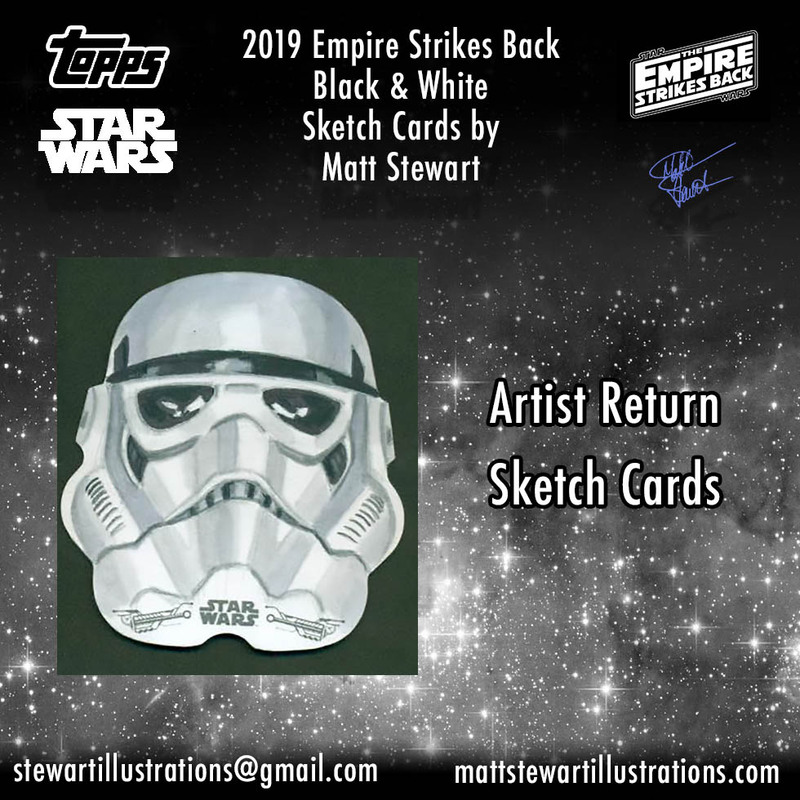 A generic, blank sketch card. 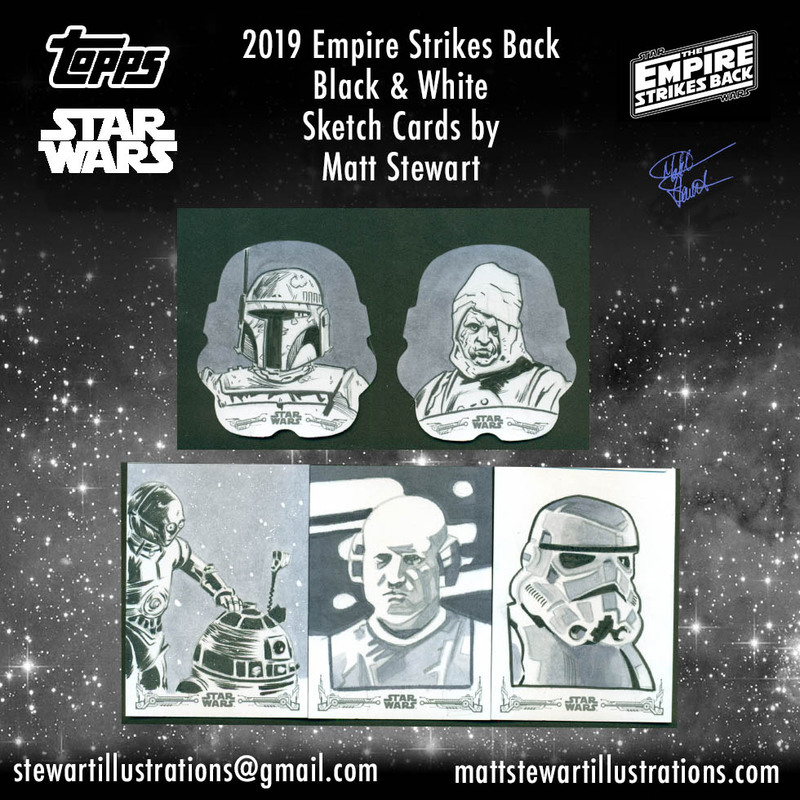 There are no restrictions on what medium or style can be used to create a sketch card, much like how there is also no restriction on what material the sketch card is made out of. 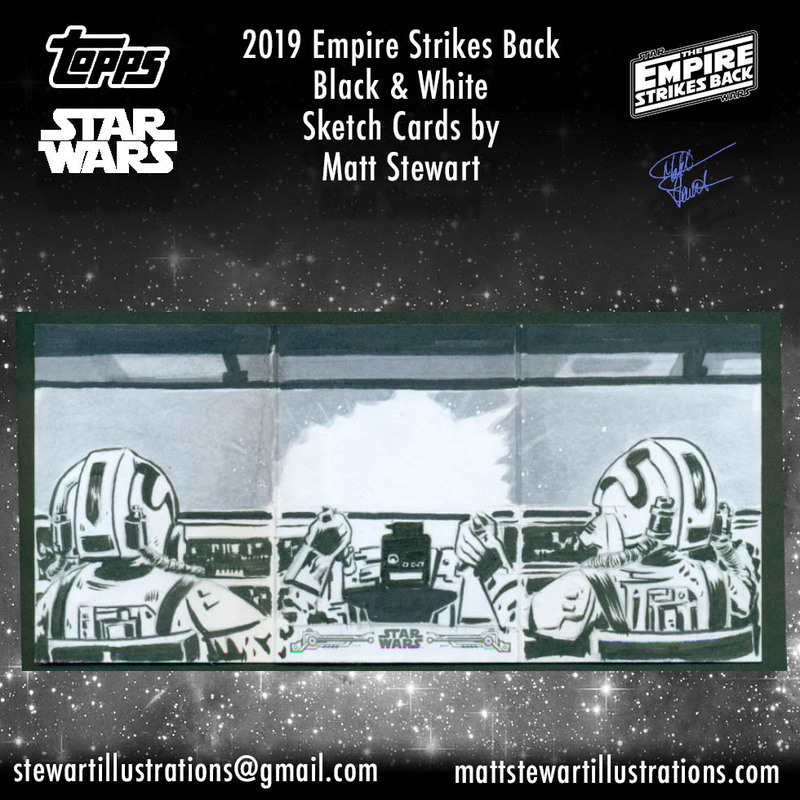 One trading card company, Upper-Deck, has recently been making some of their sketch cards on sheets of chrome and acetate! I have seen artists use paper collages, spray paint stencils, oil paints, acrylics, and simple 2b graphite pencils to create sketch cards. 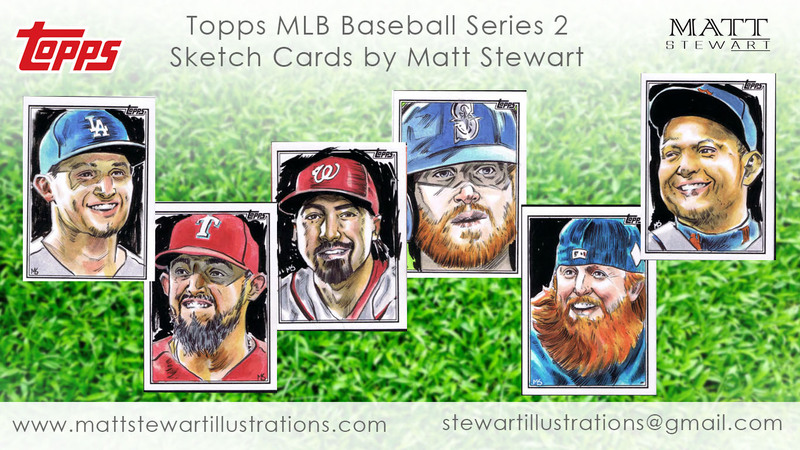 These aspects of sketch cards seem limitless, like any other arena within the art world! 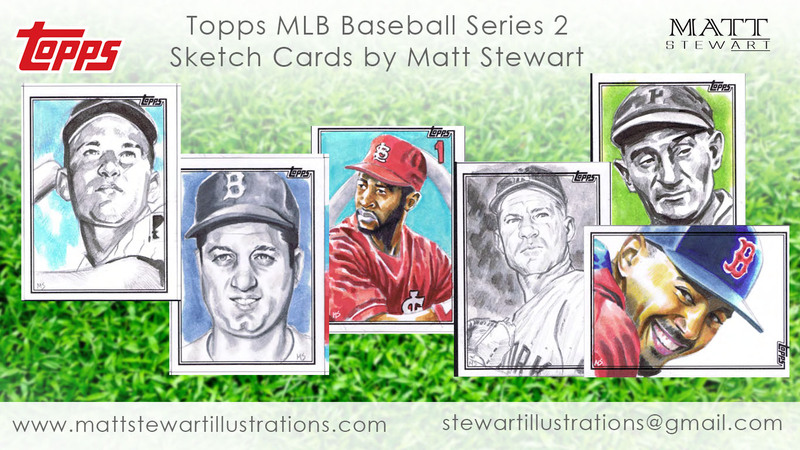 In 1993 the first trading card product included sketch cards. These ‘Art De Bart’ cards were rare, chase cards with only 400 produced. 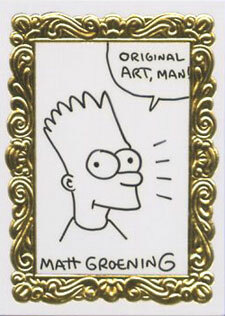 These cards were all drawn by the show’s creator Matt Groening, but in subsequent trading card sets a variety of artists would be used. It was a mixed bag on who the artists were too. 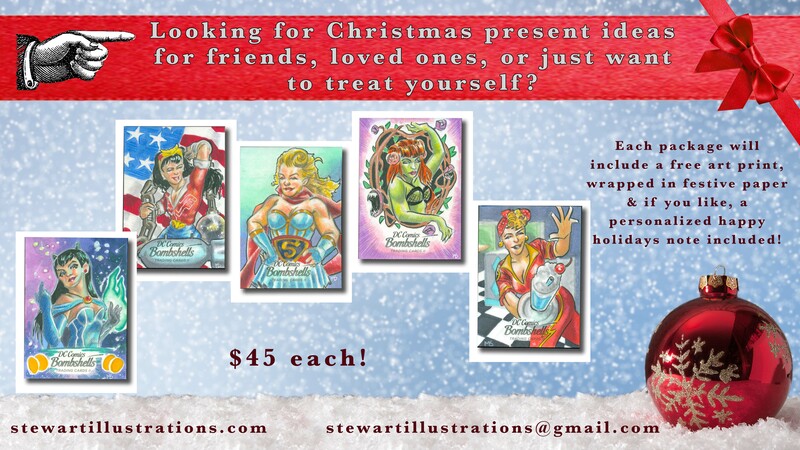 Some were experienced published professionals and some were people working on their first paid art project. 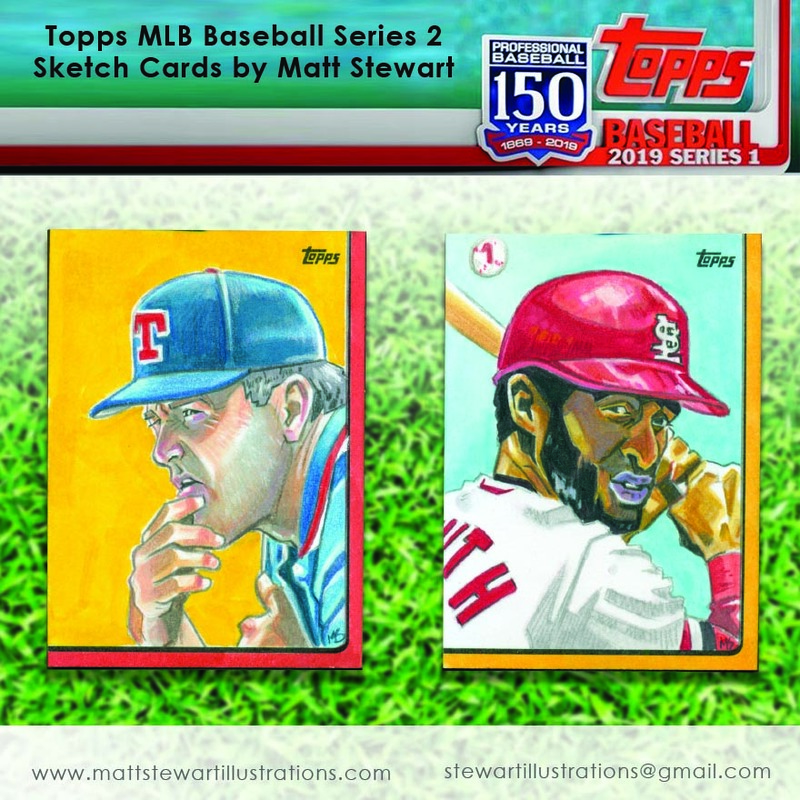 This definitely produced cards of wildly differing levels of quality, but it also allowed for collectors to obtain artwork from rising stars and for said rising star artists to obtain a modicum of experience. 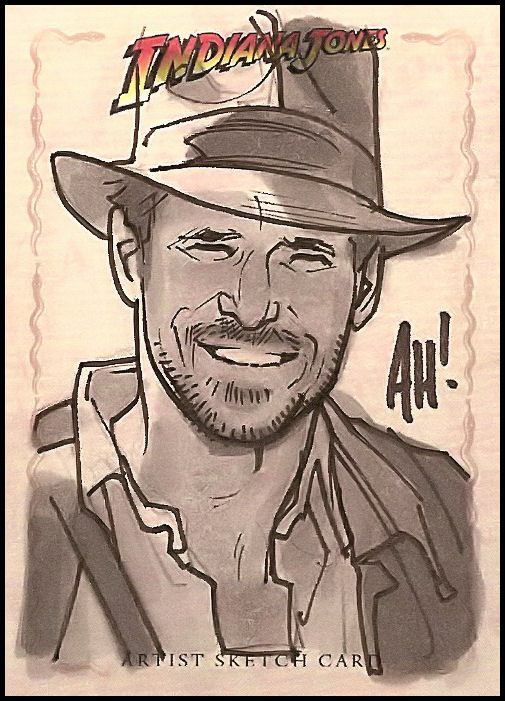 The highly talented Adam Hughes drew this sketch card for the 2008 Indiana Jones trading card set. 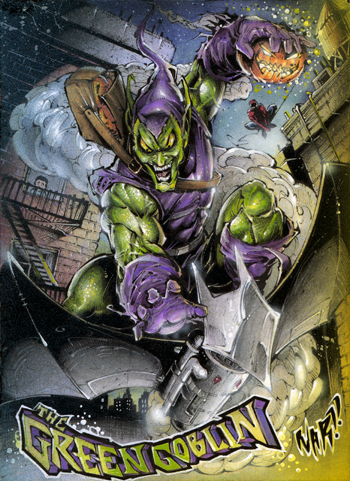 Throughout the 90s and exploding in the 2000s, sketch cards began appearing in numerous non-sports trading card sets. 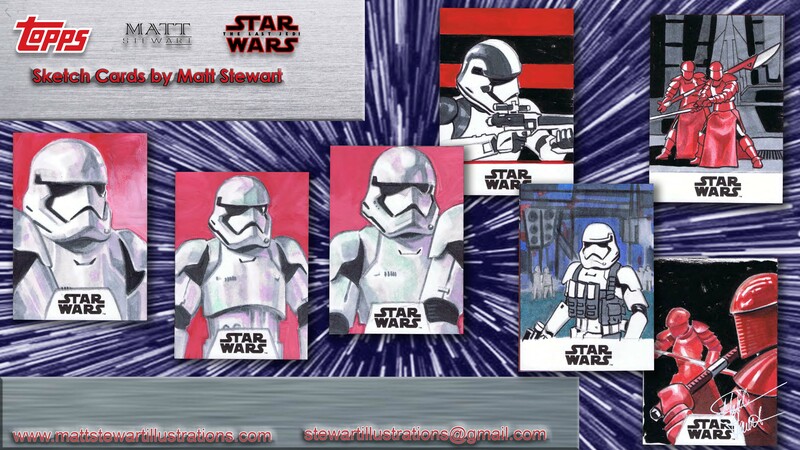 Sets based on movies and cartoons used the sketch cards as an incentive or chase in the product. Oftentimes the sketch card would be exceedingly rare even if there were tons created. What I mean by that is that thousands of sketch cards would be created but 10 or 100 times that many boxes of cards would be produced. 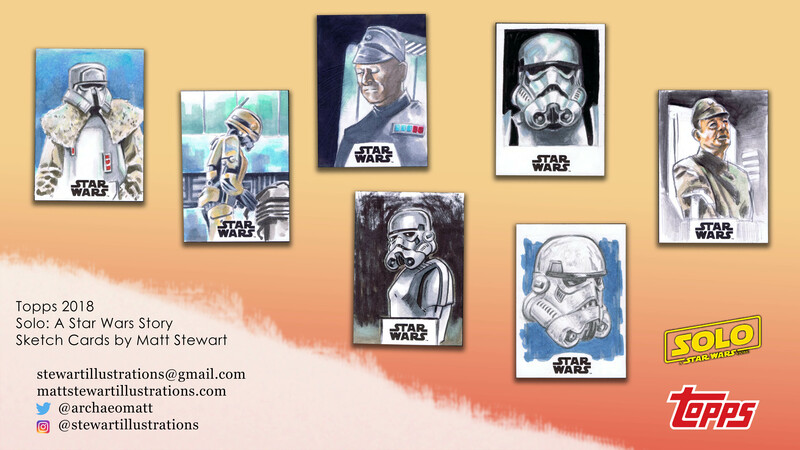 The sketch cards created right up to the late 2000’s were largely simple and quick sketches done on paper trading cards. 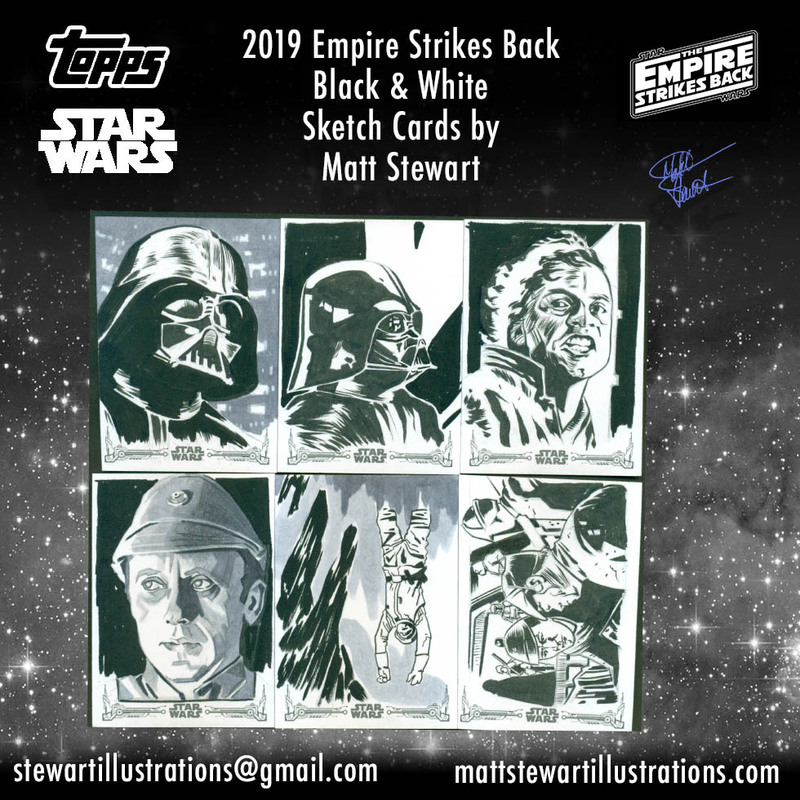 In some cases, artists were tasked to draw 1000 or more sketch cards for one project. There was no way an artist can do more than simple pencil sketches when such quantities are so high! 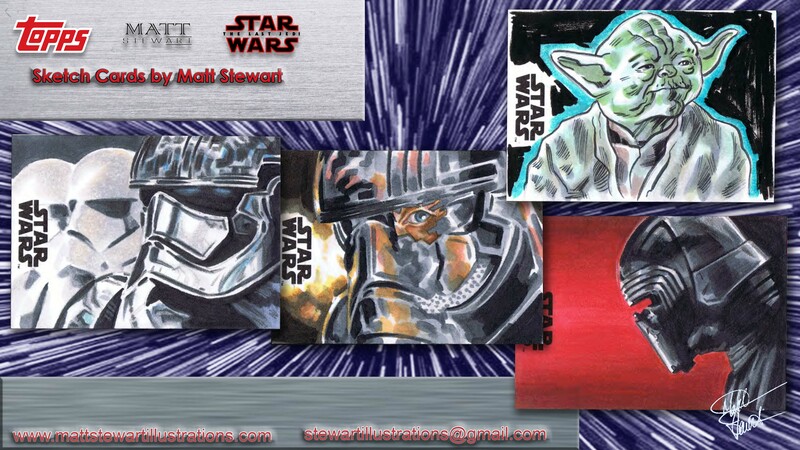 Sometime around 2010 this all changed and sketch cards gradually became more and more detailed. Some artists were using oils, some water colours, and some markers. 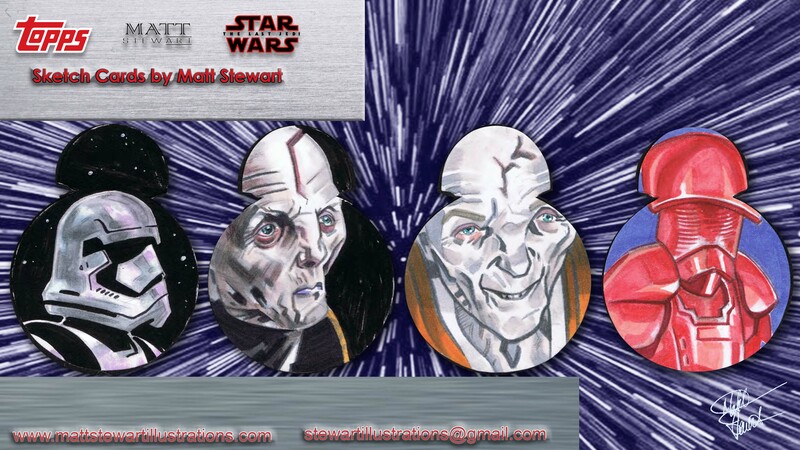 Bottom line though, is that sketch cards were often being done in colour and to a higher degree of detail and quality. 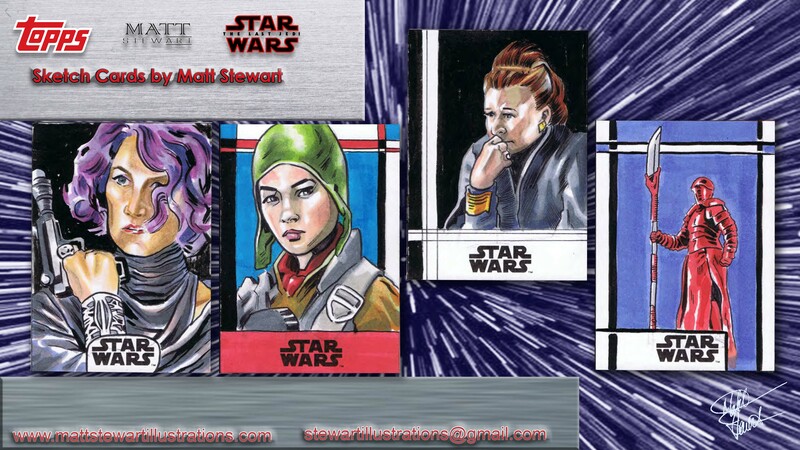 Incredibly detailed sketch card by Julio Nar. 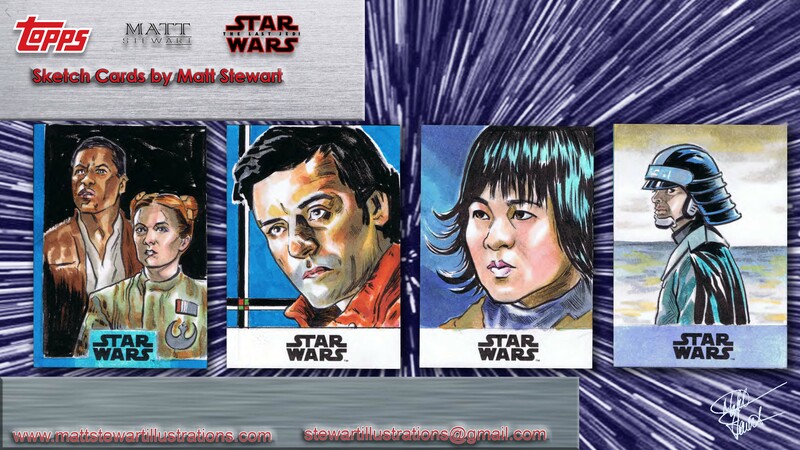 Trading card companies in the late 2000’s also started changing sketch cards by altering their sizes and materials. 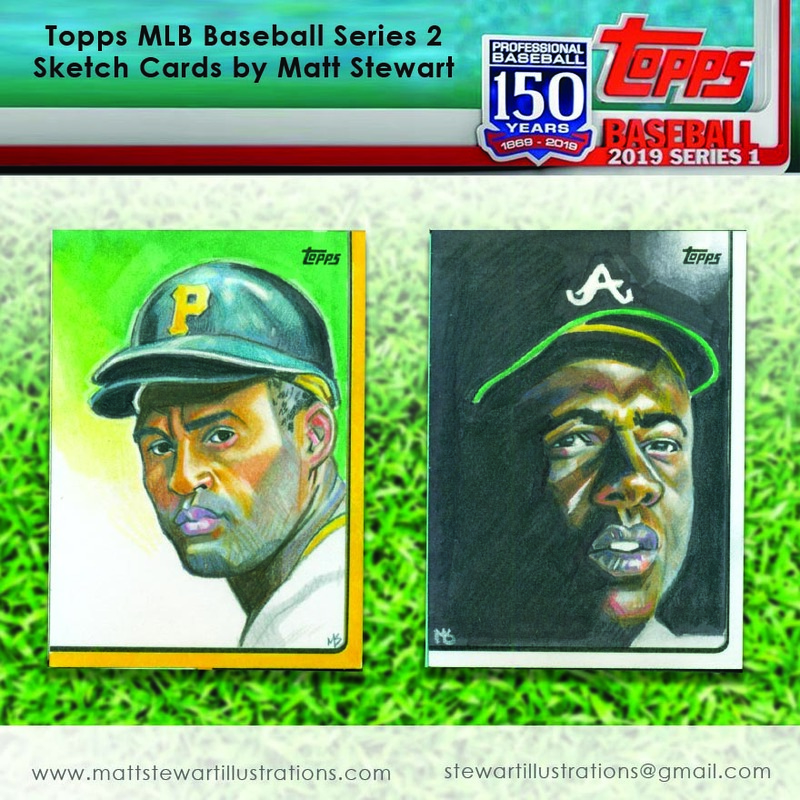 Some companies introduced Box Topper Sketch Cards that were 2, 3 or 4 times the size of a normal sketch card. 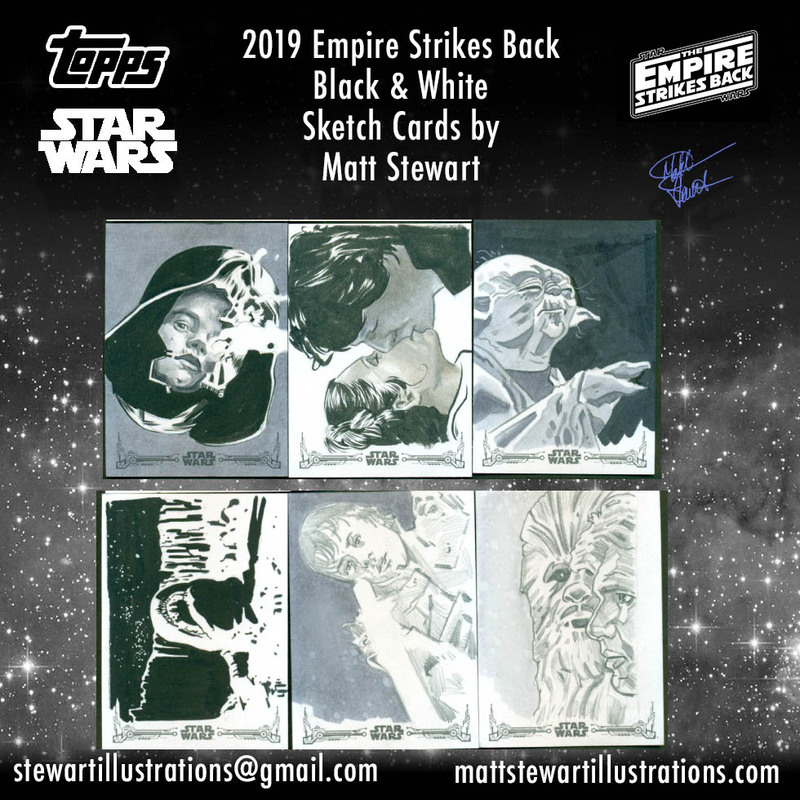 Booklet sketch cards were also being introduced, where multiple regular sketch cards were attached in a way that they could be folded on top of one another to fit into a pack of cards. Different materials like plastics and metals were also introduced. 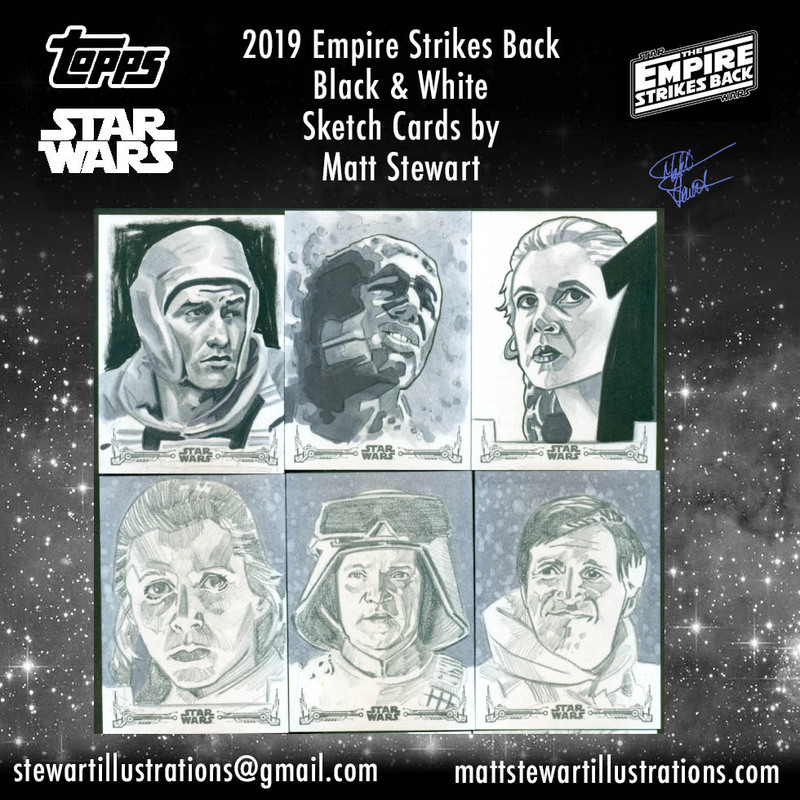 The moral of the story is that not only have the artists continually changed in what they were producing but the companies also changed the types of sketch cards, ultimately enlarging the original definition of what a sketch card is. 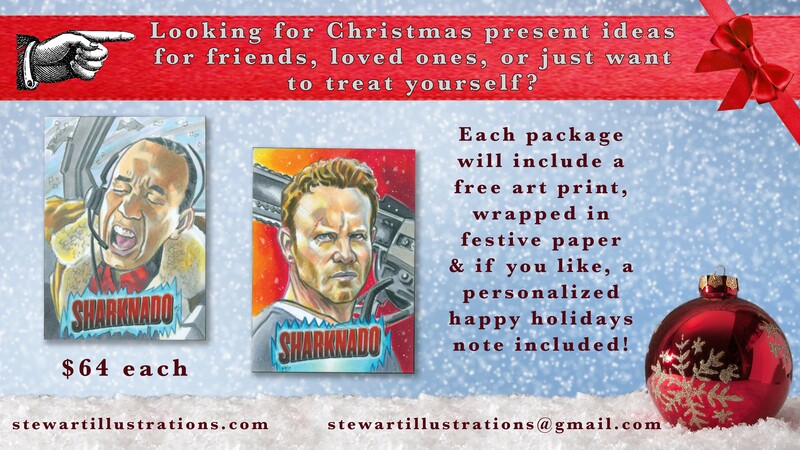 What’s in it for the Sketch Card Artist? 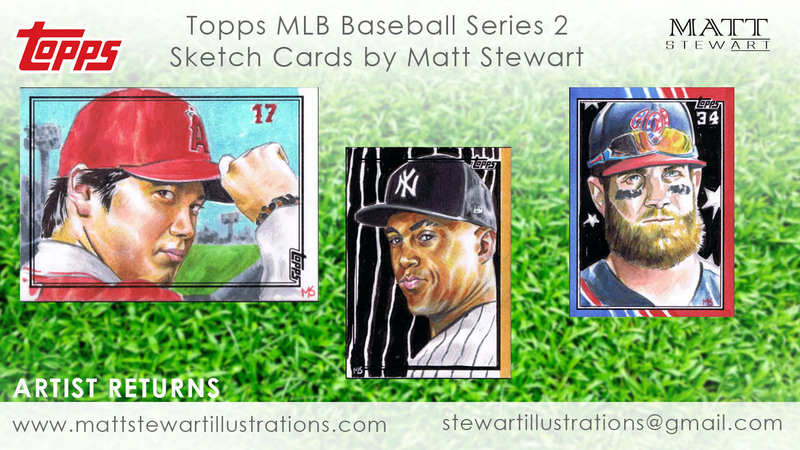 Fame and glory is not something a sketch card artist receives. 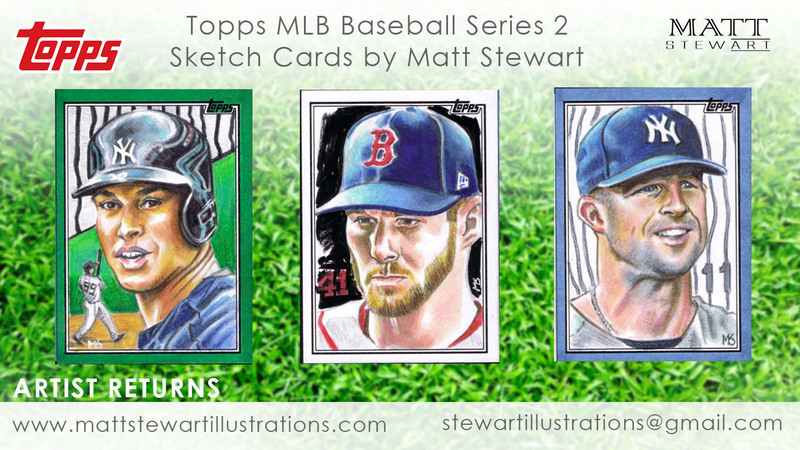 Every so often a sketch card artist might obtain an opportunity they wouldn’t otherwise have had. 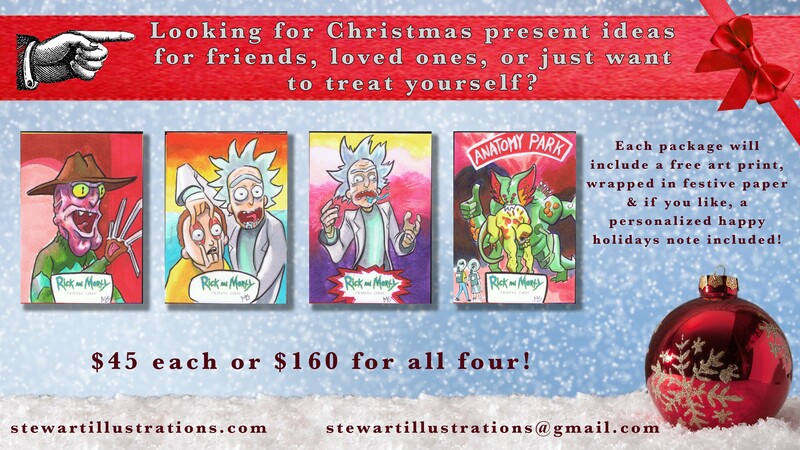 An example is of an artist I saw online who created sketch cards for a project was then invited by the company that owns the license to the property he was working on to then illustrate a poster for that company. That is absolutely the exception. 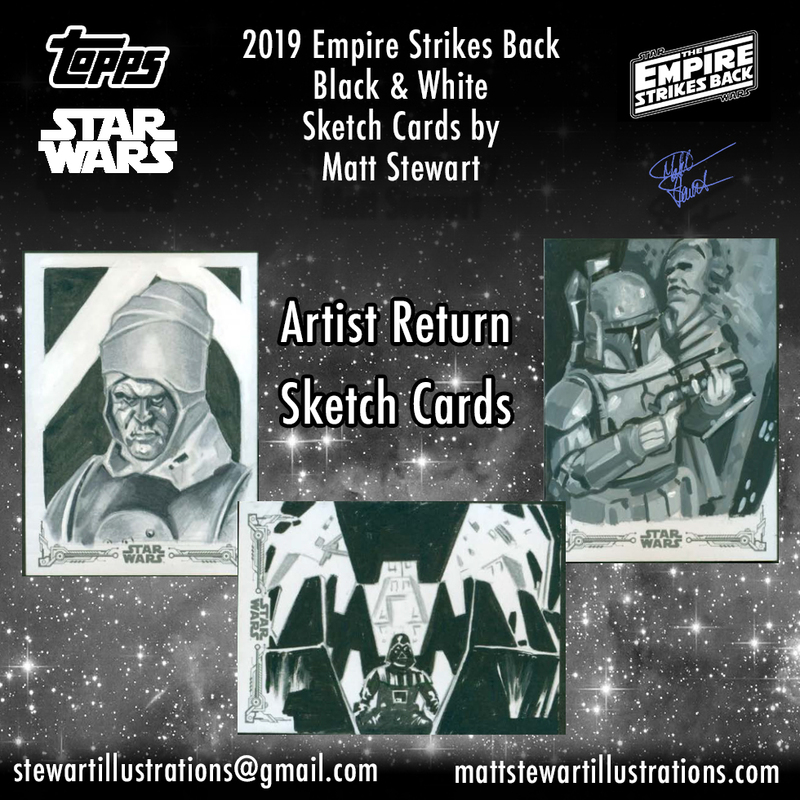 More often, sketch card artists work on these projects for a little bit of exposure with people who may commission them for more work, to say they worked on a licensed product and to build up their portfolios. 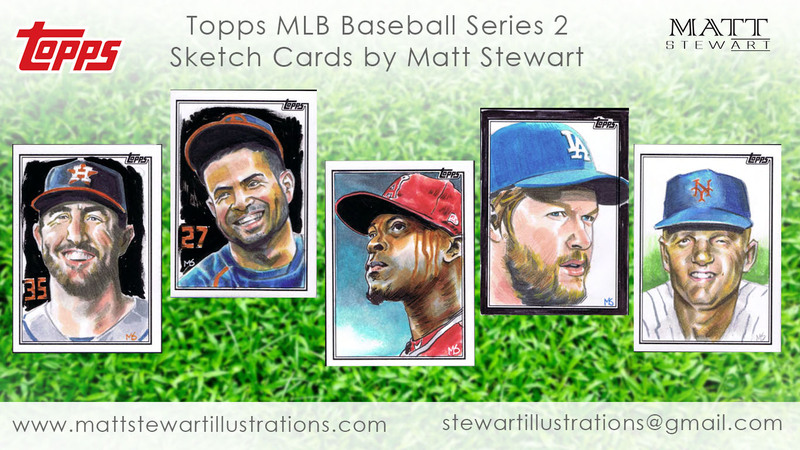 Sketch card artists are paid for their work but it isn’t exactly life changing bags of cash. 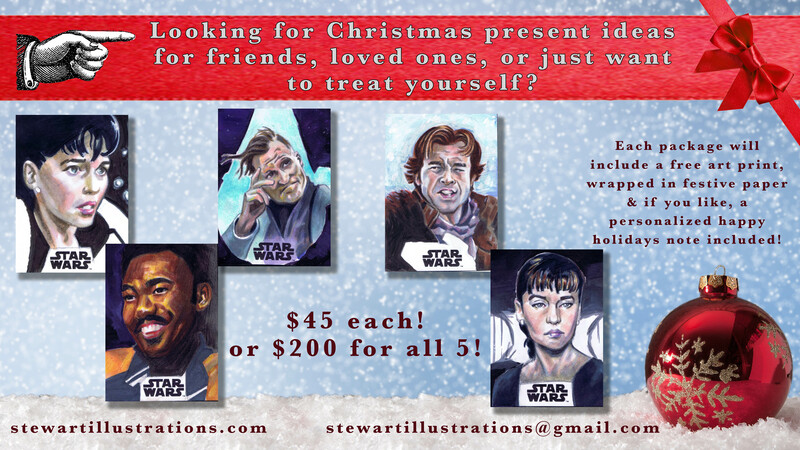 Instead, a small handful of sketch cards are provided back to the artist that they can resell. 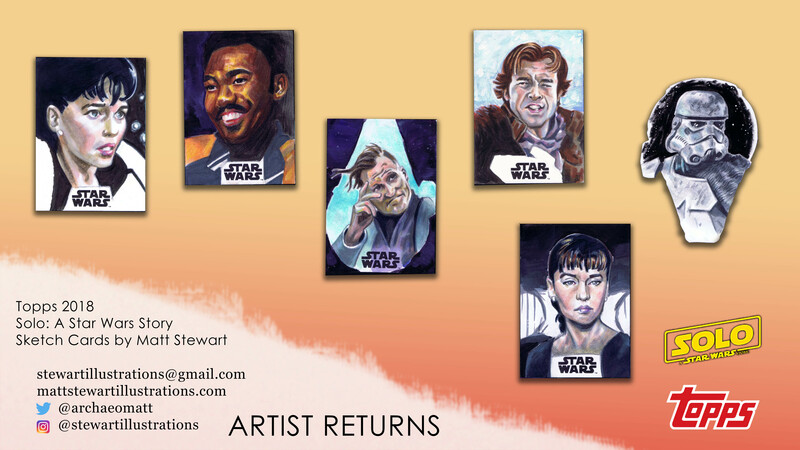 These are called either Artist Returns or Artist Proofs, frequently listed as just AR or AP’s. 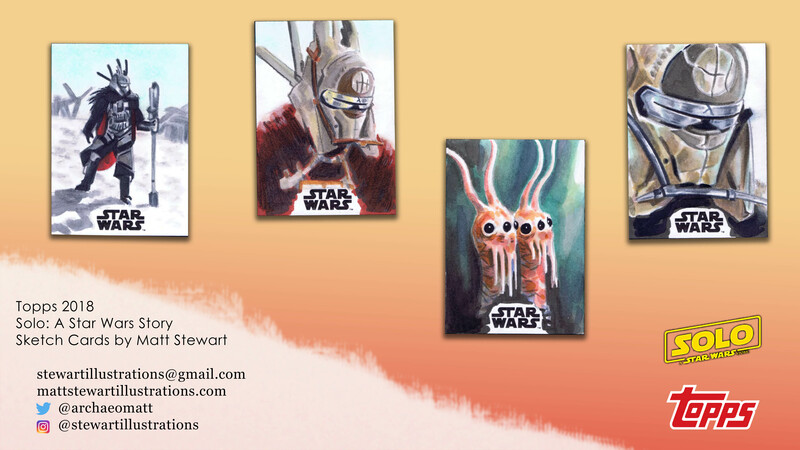 The images the artist draws on these cards are all licensed by that franchise like Star Wars or Marvel Comics. The artists receive only a small number of AP’s in comparison to the number of cards the produced for the project; often the ratio is 1:10. 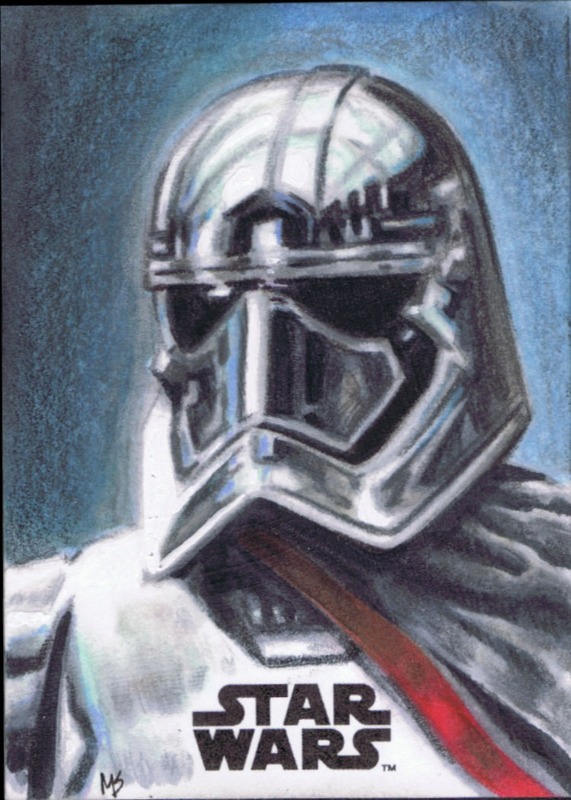 Artist Return sketch card of Captain Phasma from The Last Jedi, drawn by Matt Stewart. 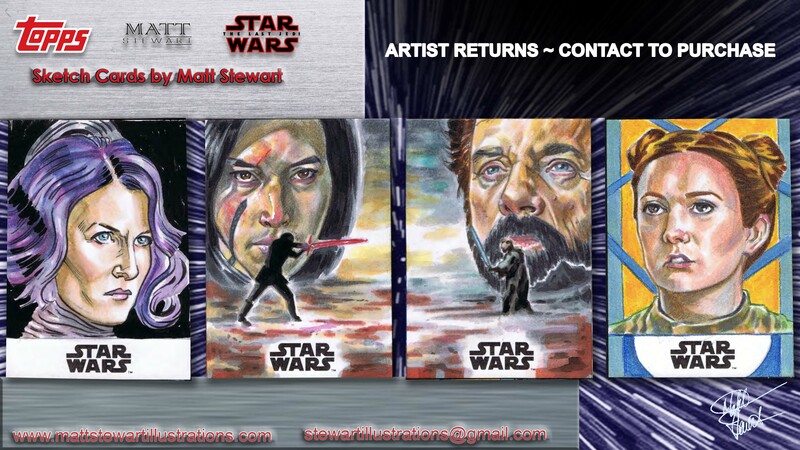 Some companies create their artist returns differently. 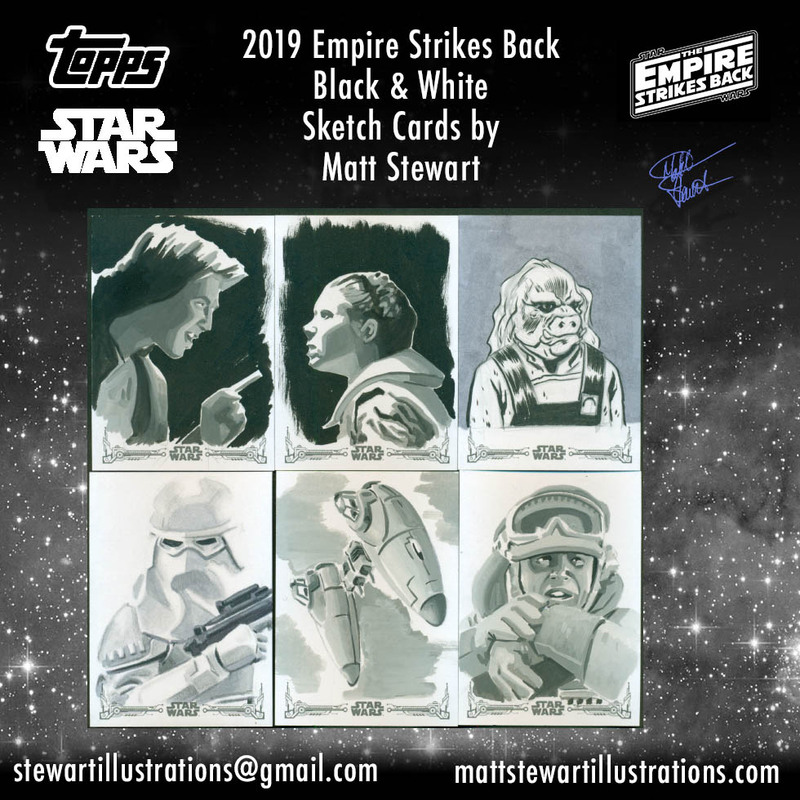 Topps (one of my artist returns is pictured above), does not make their artist returns look any different from the regular sketch cards. 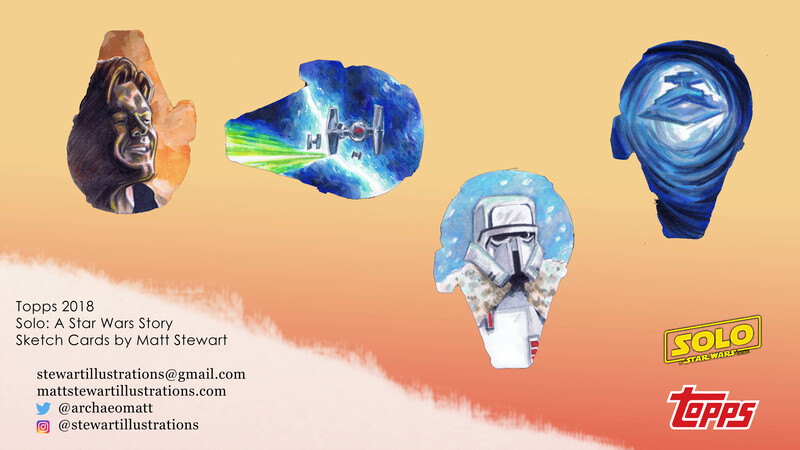 Sometimes an artist (like myself) will write AP or Artist Return on the back of the card, but otherwise it will be indistinguishable from what one can pull from a pack of cards. 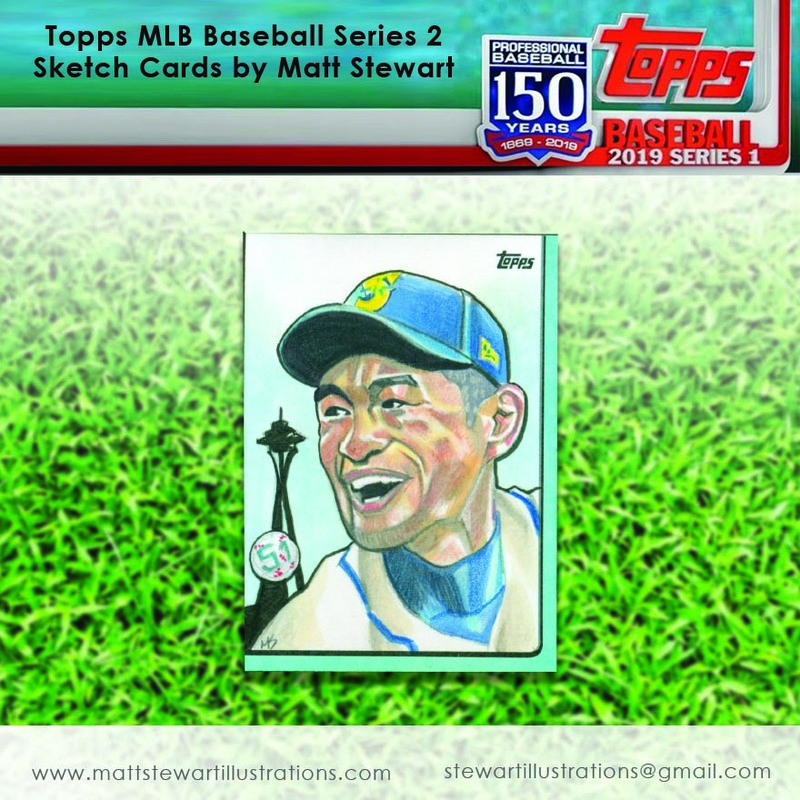 Some companies, like Upper-Deck will stamp their Artist Proofs with an AP on the front (see below) and other companies like Cryptozoic have stickers for the back of the cards that say AP. 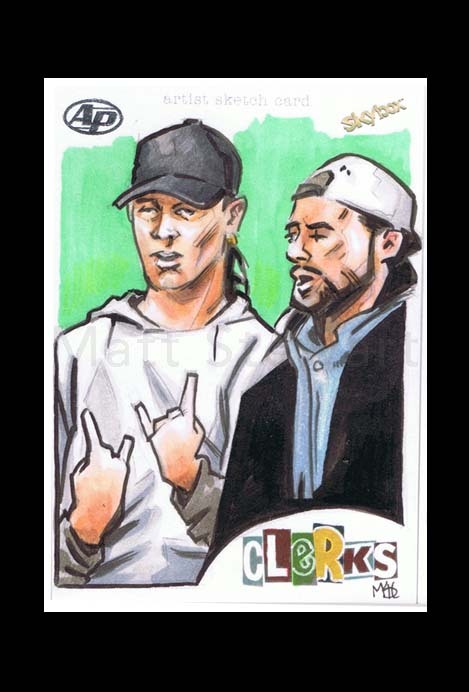 Jay and Silent Bob Artist Proof sketch card by Matt Stewart. Sometimes particular types of cards will not be offered as a return at all. 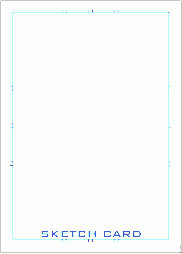 This is common with the more unusual sketch cards such as booklets. 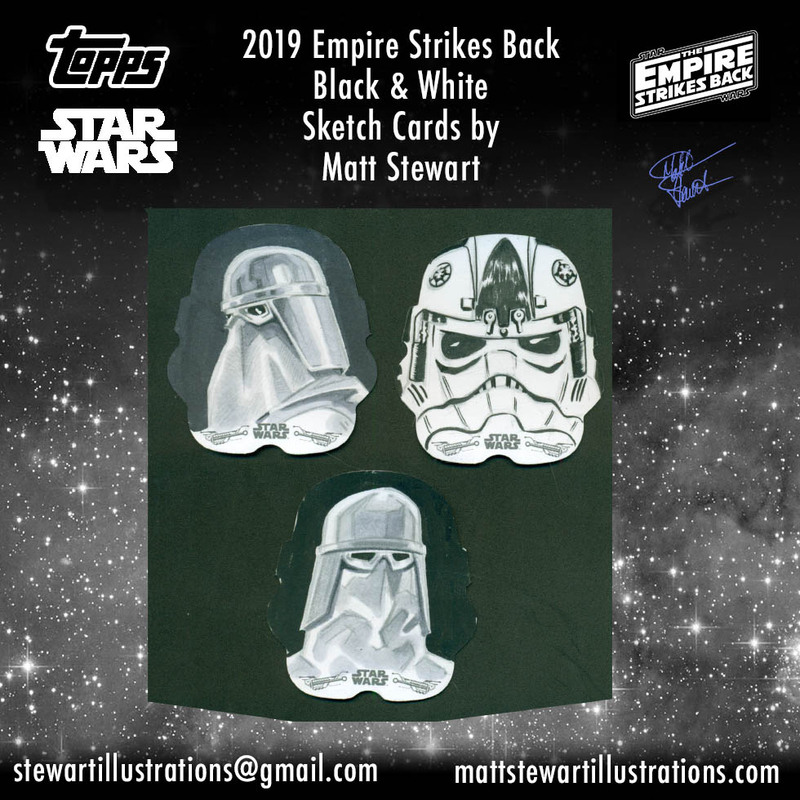 Author matthew stewartPosted on June 11, 2018 June 12, 2018 Categories Geeky Fun, General Art & DesignTags art, artist returns, design, graphic design, sketch, sketch card, sketchcard, trading cardsLeave a comment on What are Sketch Cards?